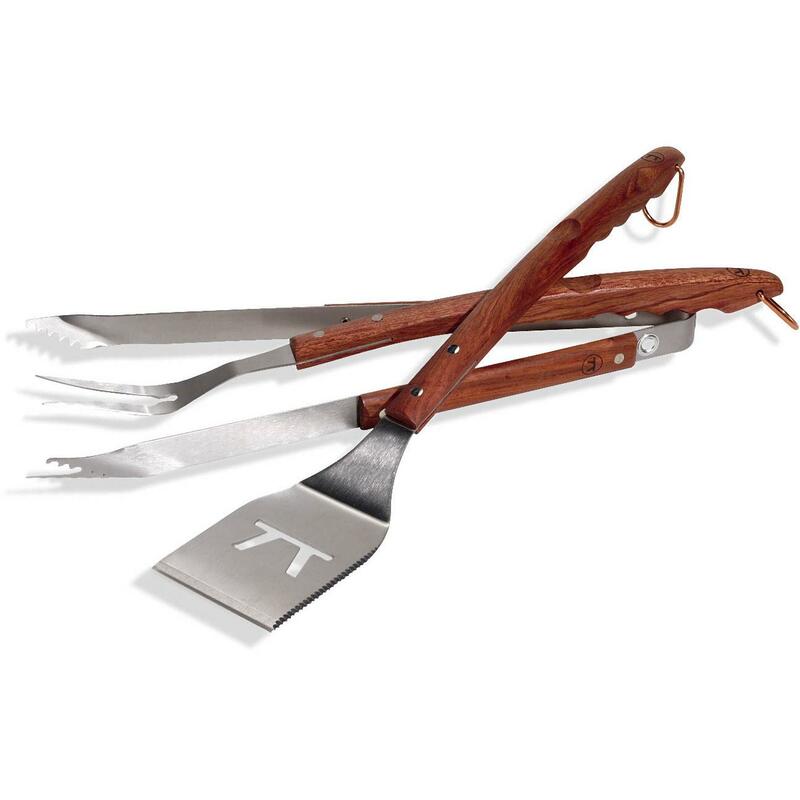 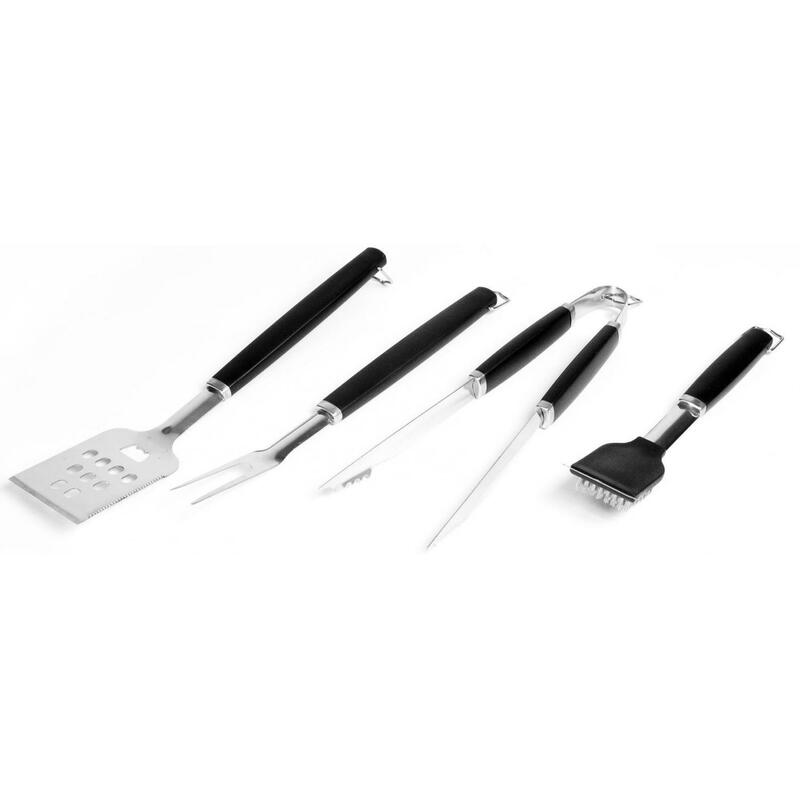 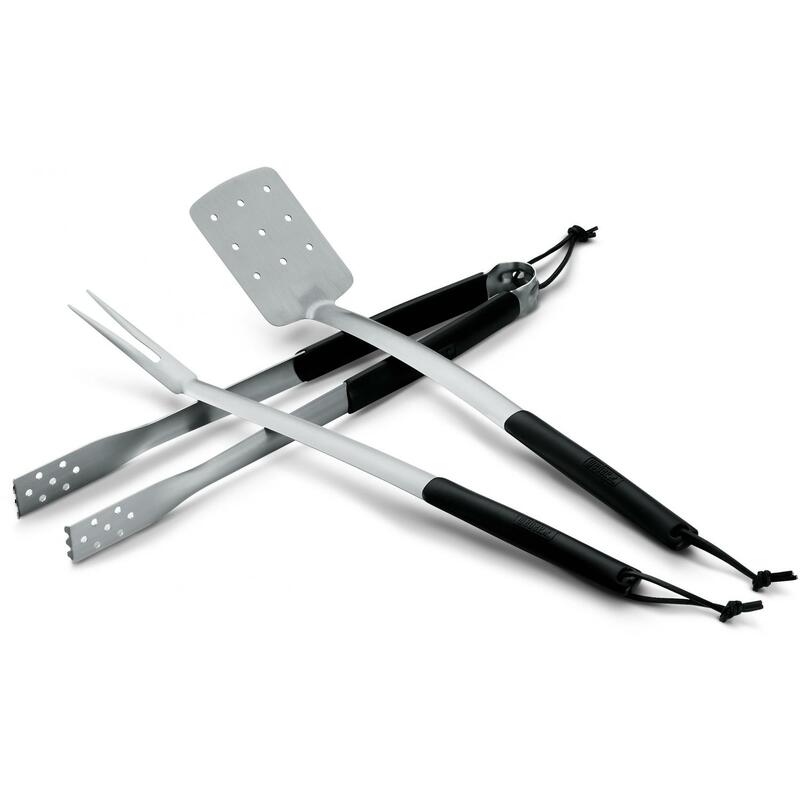 Product Description: Football 3-Piece BBQ Tool Set. 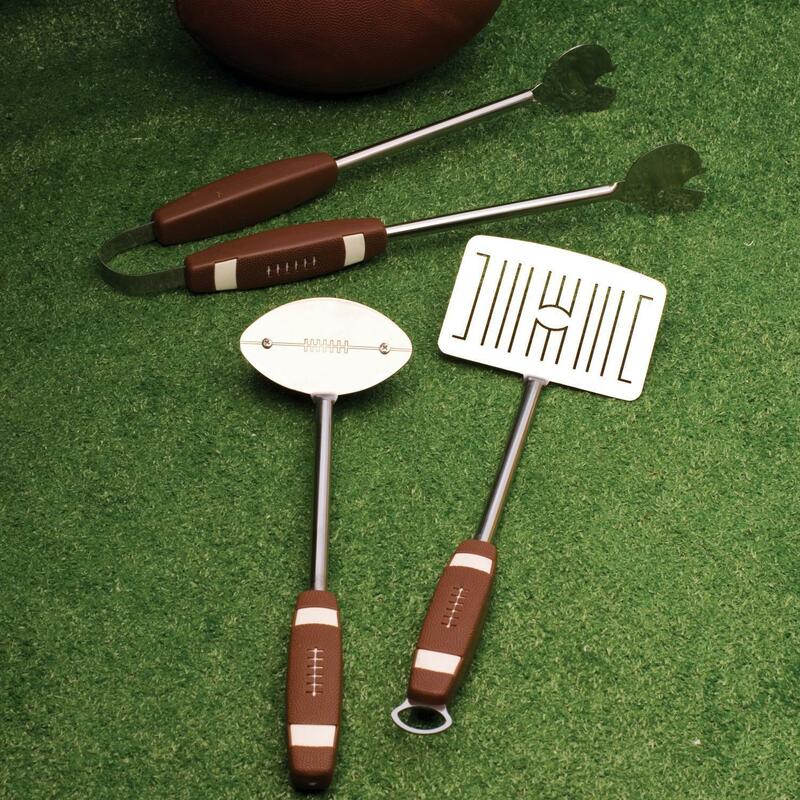 Make your next barbecue a touchdown with this Football BBQ Tool Set. 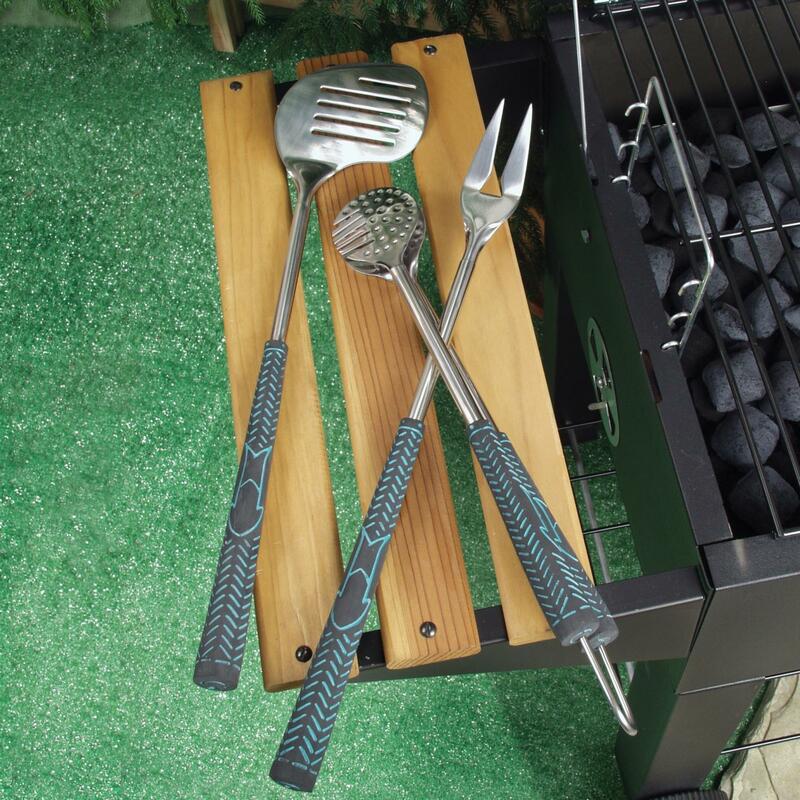 Each tool has a soft insulated grip handle that resembles a football and the head of each piece has a fun football-themed shape. 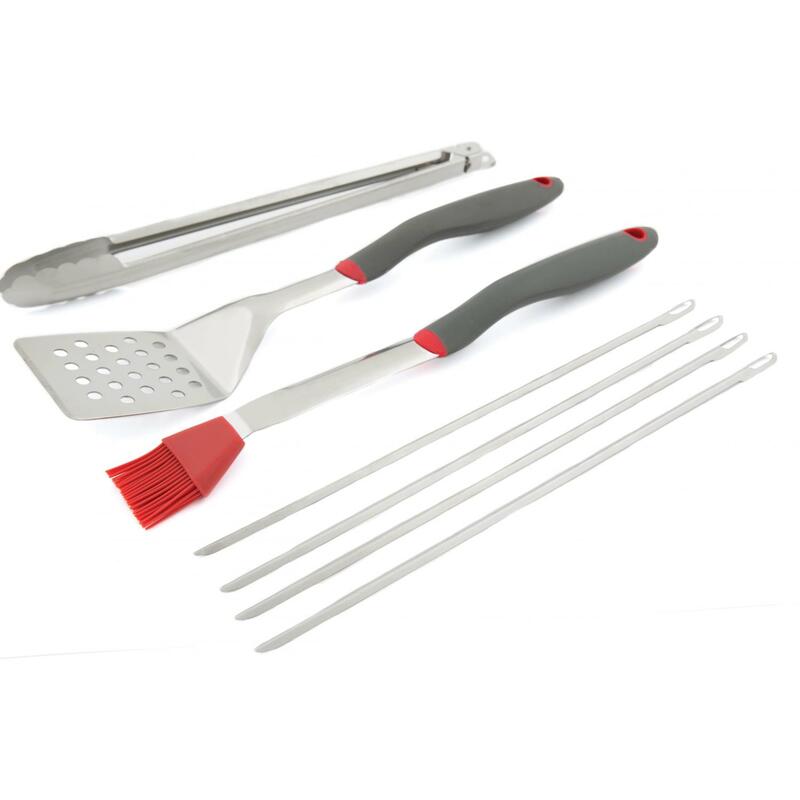 From the slotted spatula (field) to the grill brush (football), to the tongs (helmets), this durable stainless steel BBQ tool set is sure to last many games. 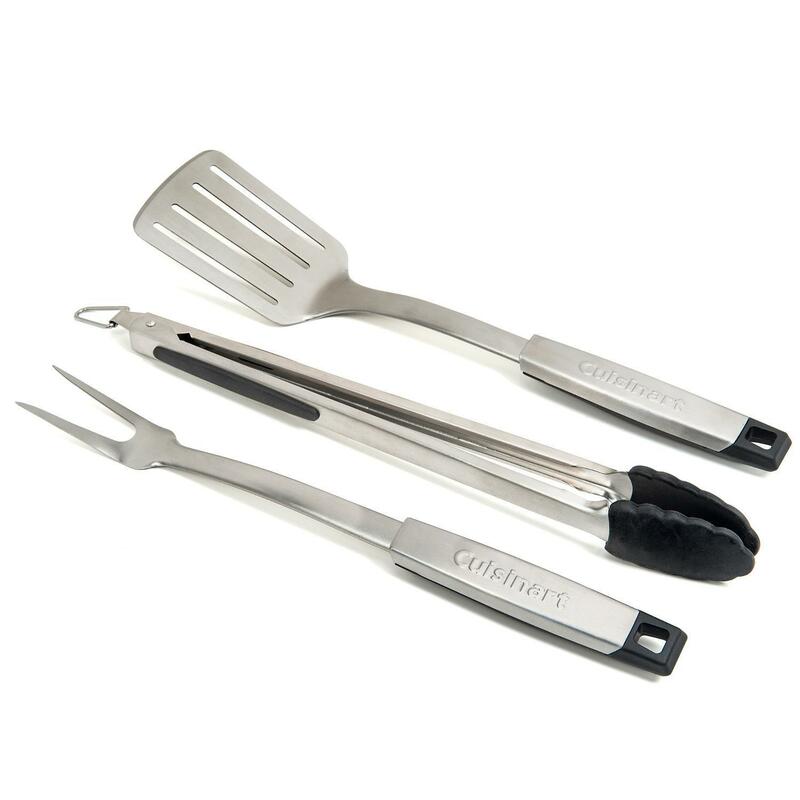 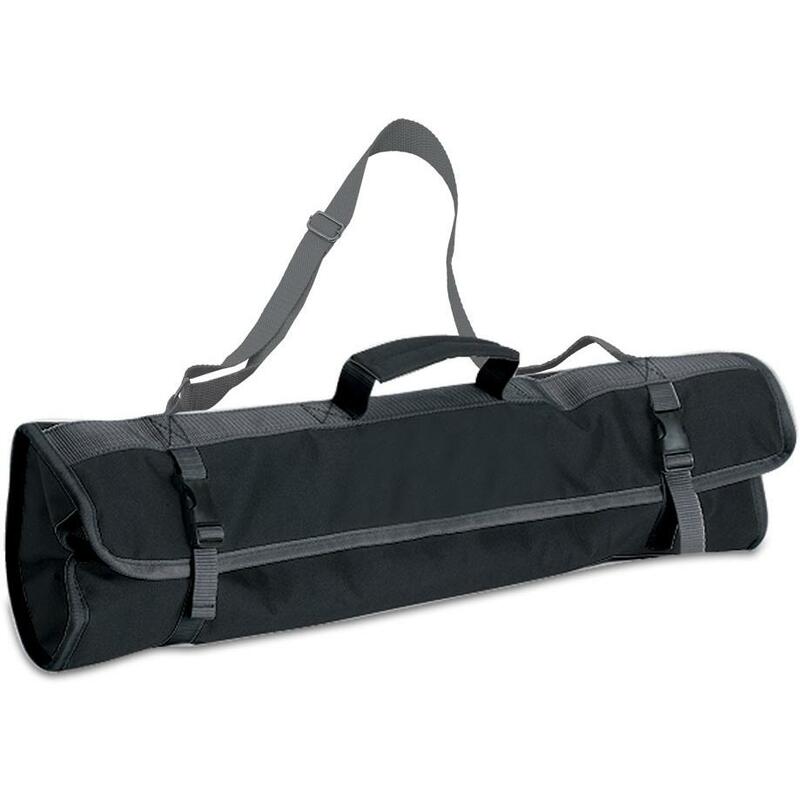 Tools range from 16 to 18 1/2-inches.